This report is available to subscribers of the Chilmark Advisory Service or may be purchased separately by clicking below. Chilmark’s Managing Director, John Moore, hosted a webinar to accompany the release of this report. He was joined by Ann Mond Johnson, CEO of the ATA, and Dr. Brian Zack, Medical Director of Telehealth at University Hospitals Cleveland. Click here to view the webinar and access slides. 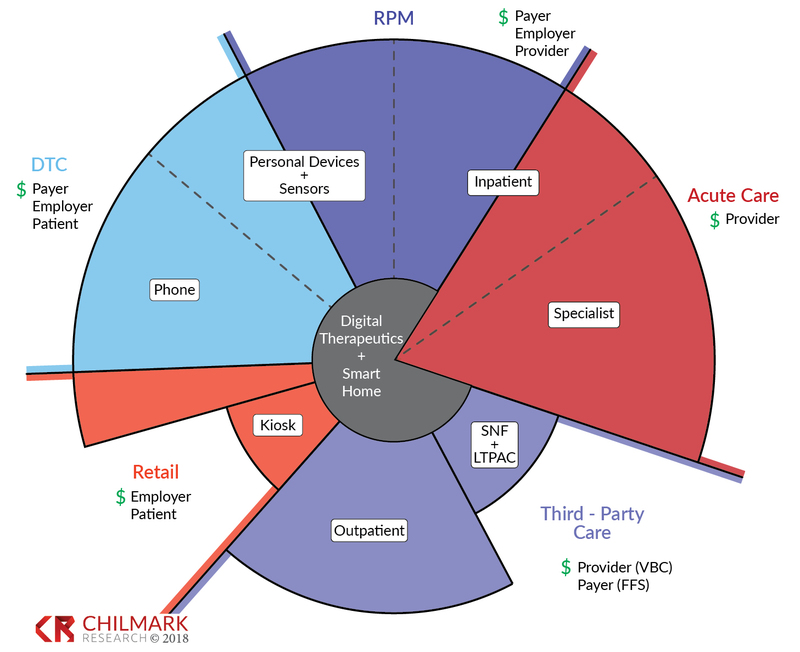 With dynamic shifts in the business of healthcare delivery and reimbursement, the market for telehealth solutions is poised to expand from its historical role supporting clinical care within hospitals to supporting patient care and self-management beyond the clinic walls, according to the latest report from Chilmark Research. Along with consumer demand for more convenient care options and increasingly favorable insurance reimbursement policies, the growth of value-based care (VBC) business models has triggered greater interest in solutions that help healthcare organizations (HCOs) keep track of patients after care encounters. With penalties rising for HCOs that fail to prevent readmissions or improve clinical outcomes, it’s more important than ever to empower patients with technology solutions that help them self-manage their health and wellness. In addition to examining what traditional healthcare stakeholders must do to support telehealth beyond the hospital, this report considers the role of emerging stakeholders – a list that includes retail health, urgent care, employer-sponsored clinics, digital therapeutics solutions, and the “smart home” enabled by voice-activated virtual assistants. Together, these emerging stakeholders demonstrate how patients’ first point of interaction with healthcare services is quickly being disrupted by consumer-centric business models and technology solutions. The report includes profiles of 12 vendors identified as representative market leaders due to factors such as brand awareness, market visibility, support for patient self-management, proven outcomes, ease of use, and product vision. 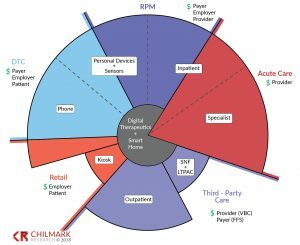 These vendors are divided among three core competencies of telehealth technology: Direct-to-consumer (DTC) solutions, acute care solutions, and remote patient monitoring (RPM) solutions. For each profiled vendor, the report provides a heat map identifying which sites of care and underlying telehealth technology solutions are high, medium, or low priorities or roadmap items. A webinar accompanying the release of the report is scheduled for early December. You can also read some of the report’s findings on provider adoption of telehealth technology on our blog. What Are the New Front Doors to Healthcare?